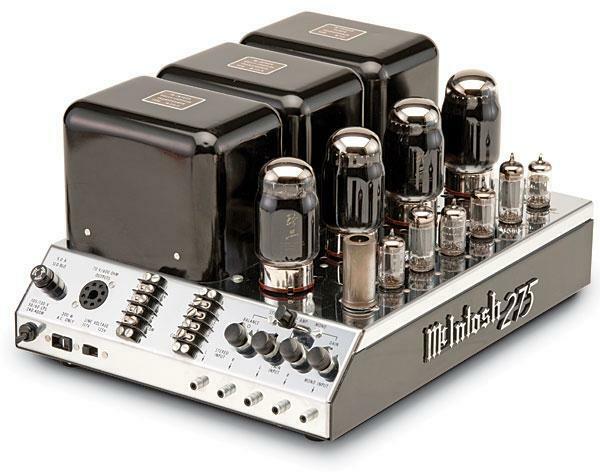 I am thinking of treating myself and upgrading my amps. I am hoping for a little inspiration. Current set up is a pair of AR-5s (restored by me); recapped, but stock, pair of Dynaco Mk III; factory wired PAT-4 preamp. 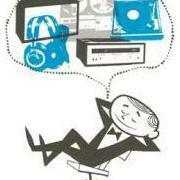 I am picking up a Marantz 7T to replace the Dynaco pre-amp. I also have my newly acquired AR-3s awaiting restoration. For the amp upgrade either monoblock or a stereo amp will work. In addition to great sound, I would like the amp to look good; a statement piece, if you will. I definitely want to see the tubes glowing. I'd really like a pair of Lowey re-designed Fairchilds, but they are out of my range. I already have a matched quad of Gold Lion KT-88s, so a HK Citation II is at the top of my list. What else should I consider? Another caveat is that I am definitely NOT looking for someone else's project or modifications, nor do I want to go the CL or Ebay route of acquisition. I prefer to keep my gear in as close to original condition as possible. That might be a little out of my range. 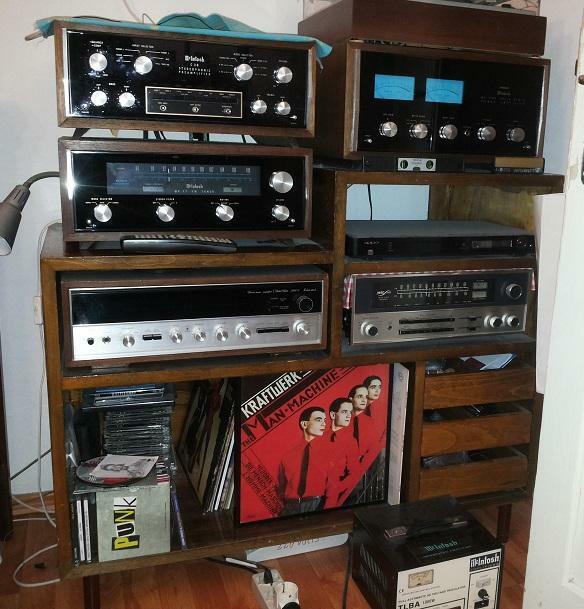 If I were going to go as high as a 275 in really good condition, I would be looking for a pair of Fairchilds. I use a Bob Latino VTA ST-120 (Dynaco mod) powering my AR10Pi. 60 wpc in pentode and 32 wpc in triode. Peter, you might want to search the forum for some threads by CSP member stupidhead in New Hampshire - - - maybe a year or two ago he was in the process of acquiring and re-storing a gorgeous HK Citation power amp, and I think his speakers of choice were AR-5's. When considering both AR-5's and AR-3's, make sure to remain cognizant of the different ratings for nominal impedance: 8 ohm and 4 ohm, respectively. That being the case the ST120 would not be practical as it needs to be wired internally for either 4 ohm or 8 ohm. Well, the Citation II idea may be out the window. I'm auditioning a pair of Webster 2A3 organ amps. Only about 32 watts (I think), but a definite step up from the Mk IIIs. Also, a lot less expensive than a Citation II, which means more for other goodies. I like the organ amps. never heard of using them. makes sense tho. I like all the tubes. I bet it looks great at night. when I was much younger I was into building linear amps for ham radios. I loved to build them open so I could bask in the warm glow of the tubes! problem was the sweep tubes I used generally all required a plate cap attachment for the B+ and it was usually over 1000volts. got shocked more than once by open connections. Thanks Bob. Yes, that is a nice inexpensive little BT receiver. I stream a lot of independent radio stations from across the country. (Check out KMNO out of Maui!) I have an ARcam miniBlink on my other system. I've starting trying to learn all I can about these amps. I hope to be put in touch with the builder soon. After an hour or so with them, I think they are keepers. Except I might have to find more efficient speakers now. Those Webster amps should sound very good if all tubes are up to snuff. They are located in western MA. Thanks for that lead David. 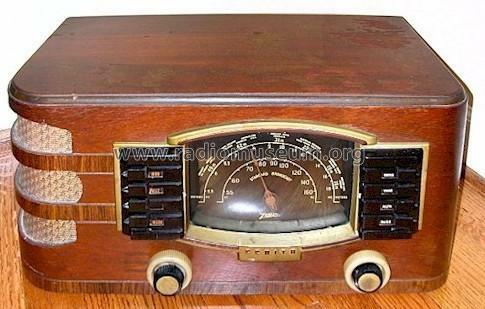 Good source for my KLH Model Eight radio restorations! They are very nice to deal with as well. They had tubes for an old Zenith Shortwave/AM radio I have and of course my amp. They package the tubes VERY well - best I've seen. Very good prices, too and they have sales often. Great resource, David. Thanks. ...And they have Nixie tube clocks! What Zenith do you have? I have a Transoceanic my grandfather gave me when I was 8. It still works. I got mine from my grandfather too. Love those tube amps! Power at lower to medium volumes should be sufficient, but if you want some higher volumes, especially if you're listening to live stuff, you'll want a lot more power. At the previous Frankenfest, I was demoing my 3's, driven with my JVC separates, that amp pushes 210 wpc, and the 3's sound so much better with power. Just some food for thought. BTW, how's your brother liking the 4x's? Just to update: I think I have decided that I might not be a tube guy. I am sure if I found the right speakers, I would be. I just don't want to spend the time to find the "right" speakers. I think I am going to divest of some gear and get a Marantz 240 to go with the 7T. I'm listening to the AR3s now on a 100+ watt Carver (specs are hard to find for a 4 ohm load). I've certainly not heard in my own home something that sounds this good. I did the Carver route. 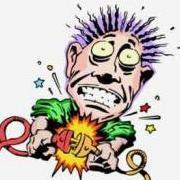 Some don't do well into 4 ohm loads. I think I went thru 5 or 6 different amps and never really found one that was really good sounding and that includes modified ones. There's more to an amp than just watts. I am not so much into tubes either. I even sold a Marantz 7 tube pre because I didn't want to go down that road and because I know little about them and didn't feel like becoming a tube student..;). AR3's and 3a's dip into 2ohm territory so I got a McIntosh 2205 with a MX-117 pre. It brings out the juice in the AR's. But I got the 2205 mostly for the pair of LST's I have...but they still sit in storage room unplayed...until I can get the time to refinish and set them up properly. Also I use McIntosh, in my case Mc2105 with my AR10 PII replica, but it is insufficient as power for them while the sonic total yield is excellent. 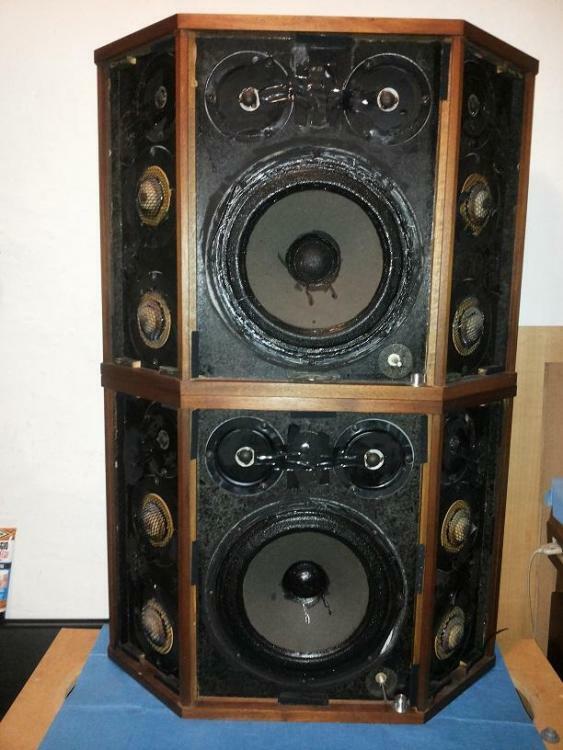 I also own AR LST, as Lakecat these are still waiting for the restoration of the woofers (removed waiting for refoaming for more than 6 months ...) and for these I have just bought an Adcom GFA-555. Next week, health permitting, I will connect the Adcom to the AR3a / AR3a imp. and to the AR10 to see the difference in listening with the current amplifiers .I think this amplifier will drive excellently 4 ohm speakers (declared a value of 320 watts per channel with an impedance of 4 ohms).